You might remember a post I did earlier in the month, "Celebrity Fragrance Industry & 50 Cent's Power." 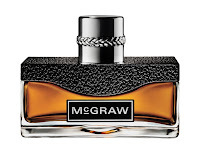 Faith Hill Parfums is released by the French fragrance company Coty Beauty who already releases a Tim McGraw fragrance. Other celebrity scents by Coty include Shania Twain, Halle Berry, Kylie Minogue, Isabella Rosellini, Desperate Housewives, Celine Dion, David & Victoria Beckham, Jennifer Lopez, Kate Moss, and Sarah Jessica Parker. Well, it seems like everywhere I look there are adds for this new scent, whether it's on the back of my wife's Real Simple magazine or Walmart ads or on the department store shelves. 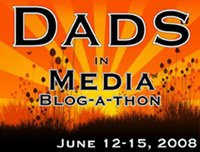 But perhaps we notice it more, because when I first saw an ad, I said to myself...well doesn't the smell have a name? 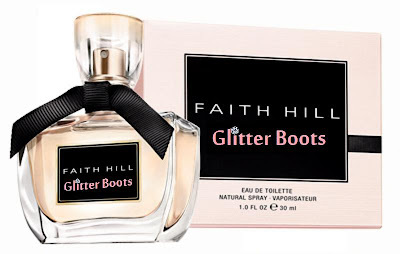 And with it's generic branding as simply "Faith Hill Parfums" I have wished I had been involved in the marketing plan for this project, and I would have suggested that rename the scent Glitter Boots by Faith Hill. Glitter Boots would be on every one's Christmas wish list! Glitter boots? Makes scents to me.